NOTE: The 2019 Barrel Aged Blackout Stout Brewmaster's Dinner is officially sold out. The public bottle release for 2019 Barrel Aged Blackout Stout will happen on Saturday, April 6 during our first ever Cellar Night. Stay tuned for more details on what will be our biggest barrel aged beer event to date! From cellar to table, you are cordially invited to a culinary fête of darkness. 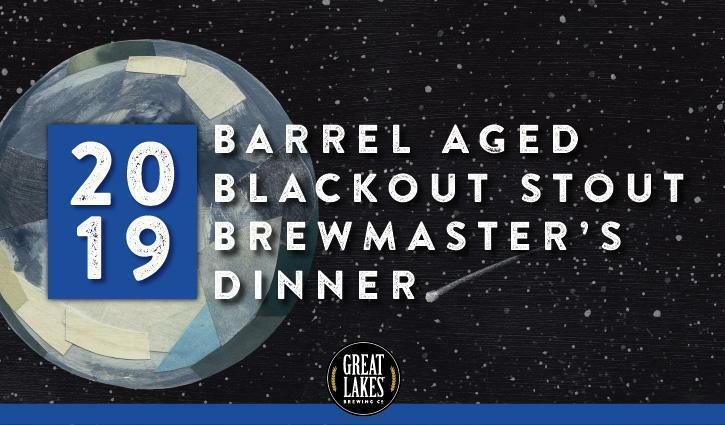 Join us for the first ever Barrel Aged Blackout Stout Brewmaster’s Dinner with Executive Chef Brian Rosander and special guest Justin Michalovic, manager of the Great Lakes barrel aging program. Crafted to complement and enhance the pitch-black tap list, the evening’s menu will feature a delicious mix of locally-sourced fare. The exclusive meal will be guided by Executive Chef Brian Rosander and Justin Michalovic for an intimate dining and drinking experience. The best part? All guests in attendance will have the first chance to purchase bottles of 2019 Barrel Aged Blackout Stout ahead of its April 6 public release. Attendees will have the first chance to purchase bottles of 2019Barrel Aged Blackout Stout ahead of its April public release. Attendees may purchase up to six (6) 22 oz. bottles of 2019 Barrel Aged Blackout Stout. Bottles will cost $17.95 each. 22 oz. bottles of 2019Barrel Aged Blackout Stout will go on sale to the public on Saturday, April 6 at our inaugural Cellar Night. 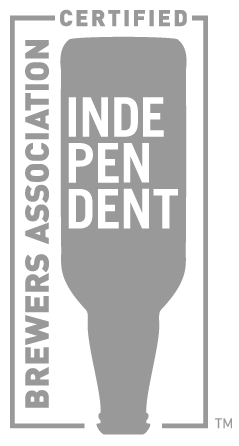 Stay tuned for details on what will be our biggest barrel aged beer event to date! Guests MUST BE 21 or older with a valid ID to attend this event. No ID: no admittance. No exceptions. We are proud to use fresh, locally-sourced produce and ingredients, and our menu reflects this seasonal availability. Unfortunately, menu items at Brewmaster’s Dinners cannot be substituted. Questions? 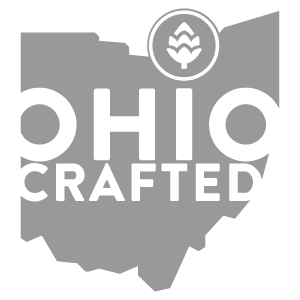 Contact us at 216.325.0240 or email us at EmilyS@greatlakesbrewing.com.